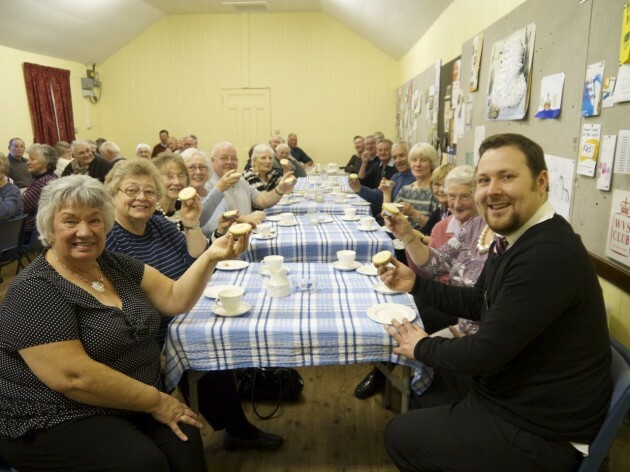 Store Manager Fraser has tea with the Burrelton and Woodside Senior Club. “It is always a pleasure to be able to help local organisations through our Community Grant Fund where we can." Burrelton and Woodside Senior Club celebrated a recent donation from the Scotmid Community Grant fund by inviting Scotmid Coupar Angus Store Manager, Fraser Rolley, for afternoon tea. The grant, awarded by Scotmid’s North Regional Committee, is to help the club throw a Christmas party and buy all members a small Christmas gift, with any leftover funds going into the pot for refreshment supplies.